I’m old enough to recall businessman Michael Knighton announcing a deal to buy Manchester United in 1989, his ball juggling on the pitch dressed in full team kit, and the size of that deal - £20m. That agreement fell through but today that sum might buy you the club’s reserve left-back. The recent KPMG Football Benchmark Forum makes the Old Trafford institution the world’s largest football club with revenues of €688 million euros and an “enterprise valuation” (by a metric created by the accountants) just south of €3.1 billion, narrowly ahead of Spanish giants Real Madrid and Barcelona. Football, always the world game, has grown to play in a whole new league and, as with everything else today, the changing digital landscape is front and centre of those changes to the game. Andrea Sartori, KPMG global head of sports, uses Microsoft PowerPoint and Power BI querying and visualisation tool to make his points at the company’s annual review of elite football financing. He describes a continuum where on-the-pitch success, broadcast/media rights and fan engagement leads to more trophies. But football fans often resent the notion of the sport as a business and in many ways they are right to see football as distinct from orthodox global business. There are many unknown businesses that turn over more revenue than the biggest football clubs, most of which are midsized organisations, frequently loss making, lacking in owned assets but possessing fanatical devotion from supporters. It’s a funny old game. KPMG has developed a formula for enterprise valuation that combines factors such as turnover, profitability, playing squad, transfers, ownership of assets but also social media support (based on Twitter, Instagram and Facebook) in order to gauge the overall value of clubs. It’s a tricky thing to pin down but KPMG’s metrics make sense and at the very least represent a valiant and plausible attempt to understand this mad world where England dominates broadcasting rights by value, leading to the Premier League having six of KPMG’s top 10 most valuable clubs. This is also a business where player bonuses might lead to a club making a loss on the day by virtue of winning a cup final, and where many clubs spend more than two-thirds of their revenue on paying staff and where elite players earn hundreds of thousands of euros per week and transfer rates are soaring past the €100m mark. Football today goes way beyond the 90 minutes of match play, once or twice a week. Digital provides an opportunity for clubs to monetise their fan bases, extend them all over the world and identify who those people are, what they want and what they are willing to spend money on. Speakers at the KPMG event were at pains to stress the importance of fan engagement through digital channels and the importance of digital transformation to the futures of clubs. In a panel discussion, Sebastian Lancestremère, general manager of Microsoft’s sports business, noted that 80 per cent of CIOs think their businesses will be disrupted by digital transformation but 86 per cent see opportunities, and he suggested that football executives should take the same view as sport increasingly intersects with media and entertainment sectors. Luis Vicente is CEO of 3Vs Sports Partners and a sometime advisor to clubs including Manchester City, Valencia and Real Madrid, and players including Ronaldo and Andriy Shevchenko. He took a strong position on where football is today in the digital realm and where it needs to go. “Unfortunately we’re not the pinnacle of digital transformation; not just football but sports overall,” he said. “We’re not even in the middle of digital transformation. Sports is today probably part of media and entertainment, which changes everything about how we look at it. It’s not about 90 minutes but a 24 x 365 business. We live in a global world; many years ago a football club could more or less focus on a city but today nine to 10 million people will interact with a top club. There are more people playing [the video game series] FIFA than watching a live game. If you look at the spectrum of a football club, the impact of traditional media rights is like social security: [agreements] are not designed to be efficient. A lot of owners are not doing anything wrong but in a business [a CEO] thinks about what gives them an advantage [and in football] we’re not designed like that. “Digital transformation is important for everyone and the important thing is what it means to you as a club. Probably, digital transformation is not the same for Real Madrid as it is for Juventus. The first thing we thought was: what does it mean for Real Madrid? There was a very obvious [point] around [use of] technology but there was also the organisation itself, the people, building a new business model and the way we communicate with people. The first thing we did was put the fan at the centre of communications. 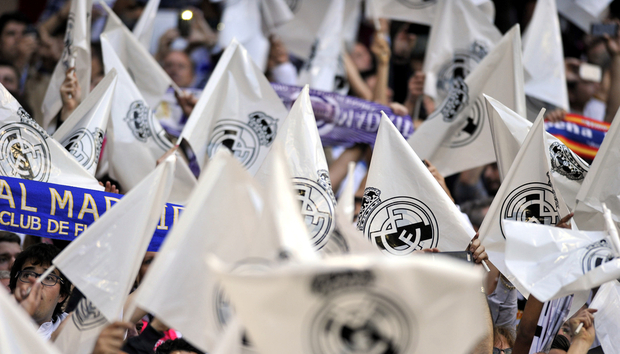 Before it was a one-way relationship and we were throwing [content] out; this is about building the relationship with 500 million Real Madrid fans around the world. “The second biggest challenge was to change the organisation, making that transition and bringing in the right people. We’re hiring many different people with a different profile. Three mathematicians are working with Real Madrid today and these are the first three in the 115 years of the club. The next thing we need to do is about content. Content is the tool we need to have between fans and the club. At the end of the day we’re a football club but we are a content company: we generate content and that is the asset we bring to people. Last but not least, we have to think about not the revenue you get today but what you get tomorrow. If football has been slow it is in some parts racing to catch up. Real Madrid recently entered into a “digital classico” version of its famous on-field rivalry, reaching 100 million Facebook followers a few hours ahead of its Catalan rival, Barcelona. Monetising the often obsessive interest in clubs remains a challenge but clubs today know they have to beyond selling tickets, player trading, media rights and merchandise. And in today’s world where there are so many other calls on our attention, it won’t be an easy task. For Wiltshire, the journey needs to be accelerated. E-sports are changing the dynamic of what sport is and how people participate and view it, he added, while metrics that were once widely accepted are now being challenged, for example by Leicester City winning the Premier league despite having a modest amount of ball possession. Wiltshire advocates a model of three Rs: reach, retention and revenue. As for the future, Vicente makes a bold prediction, suggesting interaction could even involve fans being able to influence games, perhaps by crowdsourcing tactical changes. He also argues that football’s globalisation will require local adaptations.